1Not available with special financing, lease and some other offers. See dealer for details. 2Not available with special financing, lease and some other offers. See dealer for details. 3Must qualify through GM Financial. Not available with special finance, lease, or some other offers. Take delivery by 04-30-2019. See dealer for details. 4GENERAL MOTORS IS ANNOUNCING A PRIVATE OFFER TO CUSTOMERS WHO CURRENTLY LEASE A 2014 OR NEWER NON-GM (I.E., NON-BUICK, CADILLAC, CHEVROLET, GMC, HUMMER, OLDSMOBILE, PONTIAC OR SATURN) PASSENGER CAR OR TRUCK. CUSTOMERS WILL BE ELIGIBLE TO USE THIS OFFER TOWARDS THE PURCHASE OR LEASE OF ONE OF THE NEW AND UNUSED 2018 SILVERADO 1500 DOUBLE. SEE DEALER FOR DETAILS. 1Not available with lease and some other offers. See dealer for details. 2Must qualify through GM Financial. Not available with special finance, lease, or some other offers. Take delivery by 04-30-2019. See dealer for details. 3Not available with special financing, lease and some other offers. See participating dealer for details. 4GENERAL MOTORS IS ANNOUNCING A LEASE LOYALTY PROGRAM. ELIGIBLE CUSTOMERS WHO HAVE A 2014 OR NEWER CURRENT CHEVROLET SILVERADO OR GMC SIERRA LEASE THROUGH ALLY, GM FINANCIAL OR US BANK AND LEASE ONE OF THE NEW AND UNUSED 2019 SILVERADO CREW / DOUBLE.. SEE DEALER FOR DETAILS 5GENERAL MOTORS IS ANNOUNCING A PRIVATE OFFER TO CUSTOMERS WHO CURRENTLY LEASE A 2014 OR NEWER NON-GM (I.E., NON-BUICK, CADILLAC, CHEVROLET, GMC, HUMMER, OLDSMOBILE, PONTIAC OR SATURN) PASSENGER CAR OR TRUCK. CUSTOMERS WILL BE ELIGIBLE TO USE THIS OFFER TOWARDS THE PURCHASE OR LEASE OF ONE OF THE NEW AND UNUSED 2019 SILVERADO 1500 CREW / DOUBLE 6CHEVROLET IS ANNOUNCING A CONQUEST INCENTIVE FOR CURRENT OWNERS/LESSEES OF A 2005 OR NEWER NON GM (I.E., NON-BUICK, CADILLAC, CHEVROLET, GMC, HUMMER, OLDSMOBILE, PONTIAC OR SATURN) PASSENGER CAR OR TRUCK WHO PURCHASE A NEW 2019 SILVERADO CREW / DOUBLE. SEE DEALER FOR DETAILS. 1Not available with special financing, lease and some other offers. See participating dealer for details. 2Not available with special finance or lease offers. Take delivery by 04-30-2019. 3Not available with special financing, lease and some other offers. See participating dealer for details. 4Must qualify through GM Financial. Not available with special finance, lease, or some other offers. Take delivery by 04-30-2019. See dealer for details. 5GENERAL MOTORS IS ANNOUNCING A PRIVATE OFFER TO CUSTOMERS WHO CURRENTLY LEASE A 2014 OR NEWER NON-GM (I.E., NON-BUICK, CADILLAC, CHEVROLET, GMC, HUMMER, OLDSMOBILE, PONTIAC OR SATURN) PASSENGER CAR OR TRUCK. CUSTOMERS WILL BE ELIGIBLE TO USE THIS OFFER TOWARDS THE PURCHASE OR LEASE OF ONE OF THE NEW AND UNUSED 2018 SILVERADO 1500 DOUBLE. SEE DEALER FOR DETAILS. 1Must qualify through GM Financial. Not available with special finance, lease, or some other offers. Take delivery by 04-30-2019. See dealer for details. 2GENERAL MOTORS IS ANNOUNCING A LEASE LOYALTY PROGRAM. ELIGIBLE CUSTOMERS WHO HAVE A 2014 OR NEWER CURRENT CHEVROLET SILVERADO OR GMC SIERRA LEASE THROUGH ALLY, GM FINANCIAL OR US BANK AND LEASE ONE OF THE NEW AND UNUSED 2019 SILVERADO CREW / DOUBLE.. SEE DEALER FOR DETAILS 3GENERAL MOTORS IS ANNOUNCING A PRIVATE OFFER TO CUSTOMERS WHO CURRENTLY LEASE A 2014 OR NEWER NON-GM (I.E., NON-BUICK, CADILLAC, CHEVROLET, GMC, HUMMER, OLDSMOBILE, PONTIAC OR SATURN) PASSENGER CAR OR TRUCK. 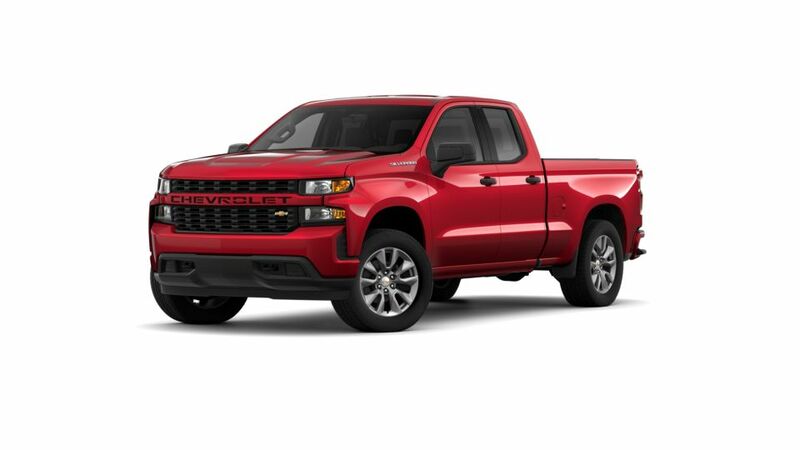 CUSTOMERS WILL BE ELIGIBLE TO USE THIS OFFER TOWARDS THE PURCHASE OR LEASE OF ONE OF THE NEW AND UNUSED 2019 SILVERADO 1500 CREW / DOUBLE 4CHEVROLET IS ANNOUNCING A CONQUEST INCENTIVE FOR CURRENT OWNERS/LESSEES OF A 2005 OR NEWER NON GM (I.E., NON-BUICK, CADILLAC, CHEVROLET, GMC, HUMMER, OLDSMOBILE, PONTIAC OR SATURN) PASSENGER CAR OR TRUCK WHO PURCHASE A NEW 2019 SILVERADO CREW / DOUBLE. SEE DEALER FOR DETAILS. 1Not available with special financing, lease and some other offers. See participating dealer for details. 2Not available with special finance or lease offers. Take delivery by 04-30-2019. 3Must qualify through GM Financial. Not available with special finance, lease, or some other offers. Take delivery by 04-30-2019. See dealer for details. 4Not available with special financing, lease and some other offers. See participating dealer for details. 5GENERAL MOTORS IS ANNOUNCING A PRIVATE OFFER TO CUSTOMERS WHO CURRENTLY LEASE A 2014 OR NEWER NON-GM (I.E., NON-BUICK, CADILLAC, CHEVROLET, GMC, HUMMER, OLDSMOBILE, PONTIAC OR SATURN) PASSENGER CAR OR TRUCK. CUSTOMERS WILL BE ELIGIBLE TO USE THIS OFFER TOWARDS THE PURCHASE OR LEASE OF ONE OF THE NEW AND UNUSED 2018 SILVEARDO 1500 CREW/REG. SEE DEALER FOR DETAILS.